Can Meditation Lead to Lasting Change? A new book reveals how long-term meditation can lead to profound improvements in our mind, brain, and body. Mindfulness meditation is everywhere these days. From the classroom to the board room, people are jumping on the mindfulness bandwagon, hoping to discover for themselves some of its promised benefits, like better focus, more harmonious relationships, and less stress. I too have started a mindfulness meditation practice and have found it to be helpful in my everyday life. But, as a science writer, I still have to wonder: Is all of the hype around mindfulness running ahead of the science? What does the research really say about mindfulness? To answer these questions, look no further than Altered Traits: Science Reveals How Meditation Changes Your Mind, Brain, and Body, a new book by journalist Daniel Goleman and prominent neuroscientist Richard Davidson. Putting their decades of research and knowledge together, Davidson and Goleman have written a highly readable book that helps readers separate the wheat from the chaff of mindfulness science. In the process, they make a cogent argument that meditation, in various forms, has the power to transform us not only in the moment, but in more profound, lasting ways. Many people have been introduced to mindfulness meditation practices through the work of Jon Kabat-Zinn’s Mindfulness-Based Stress Reduction (MBSR) program. MBSR has been researched extensively and tied to many positive outcomes for medical patients. But while MBSR has helped a lot of people, it’s not always clear which aspects of the training—mindful breathing versus yoga versus loving-kindness meditation—are most helpful for particular issues facing people. Nor is it always clear that the impacts of MBSR training extend long beyond when the training ends. Davidson and Goleman aim to unveil not just the temporary effects of mindfulness training, but how practicing various forms of meditation over time affects our general traits—more stable aspects of ourselves. That’s where Davidson and Goleman come in. They aim to unveil not just the temporary effects of mindfulness training, but how practicing various forms of meditation over time affects our general traits—more stable aspects of ourselves. And they make the case that simpler forms of mindfulness training may have some benefits, but fall short when you are looking for lasting change. According to the authors, there are four main ways that meditation—particularly when practiced consistently over time—can make a deeper impact on us. According to neuroscience research, mindfulness practices dampen activity in our amygdala and increase the connections between the amygdala and prefrontal cortex, both of which help us to be less reactive to stressors and to recover better from stress when we experience it. 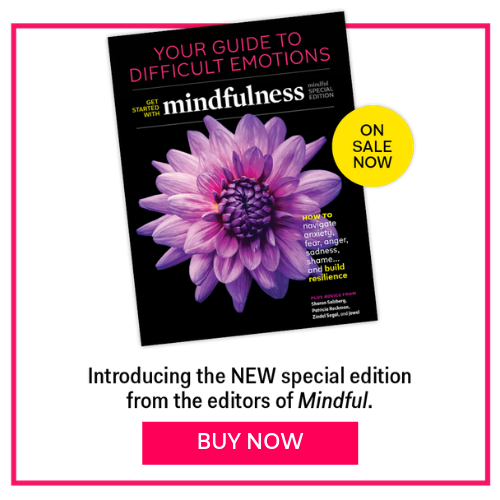 “These changes are trait-like: they appear not simply during the explicit instruction to perceive the stressful stimuli mindfully, but even in the ‘baseline’ state’” for longer-term meditators, which supports the possibility that mindfulness changes our ability to handle stress in a better, more permanent way. While many of us may espouse compassionate attitudes, we can also suffer when we see others suffering, which can create a state of paralysis or withdrawal. But studies have shown that practicing loving-kindness for others increases our willingness to take action to relieve suffering. It appears to do this by lessening amygdala activity in the presence of suffering, while also activating circuits in the brain that are connected to good feelings and love. “The cultivation of a loving concern for other people’s well-being has a surprising and unique benefit: the brain circuitry for happiness emerges, along with compassion,” write the authors. Researchers have found that meditation helps to combat habituation—the tendency to stop paying attention to new information in our environment. Meditation leads to some improvements in markers of health. Many claims have been made about mindfulness and health; but sometimes these claims are hard to substantiate or may be mixed up with other effects. For example, when it comes to pain—where our psychology plays a clear role in our experience of pain—it’s now clear that meditation can lessen pain without directly addressing its physiological source. However, there is some good evidence that meditation affects physiological indices of health, too. For example, practicing meditation lessons the inflammatory response in people exposed to psychological stressors, particularly for long-term meditators. Also, meditators seem to have increased activity of telomerase—an enzyme implicated in longer cell life and, therefore, longevity. The authors outline other possible benefits of meditation which have less robust findings. But, while the evidence for these can be fascinating, Davidson and Goleman dutifully report the counter evidence as well, trying to employ “the strictest experimental standards” to avoid making unfounded claims. They even question some of their own findings, such as Davidson’s research on changes in the brain for meditators, which they later decided didn’t have great experimental controls. “The differences found [between meditators and non-meditators] could be due to factors like education or exercise, each of which has its own buffering effect on brains,” they write. “Then there’s self-selection: Perhaps people with the brain changes reported in these studies choose to stick with meditation while others do not.” In other words, use caution when championing results. They even question some of their own findings, such as Davidson’s research on changes in the brain for meditators, which they later decided didn’t have great experimental controls. In general, the authors lament the poor quality of many studies and the way these are used to justify mindfulness applications in many arenas. They worry that too many studies lack rigor or that some well-done studies are never published because they don’t have positive findings. These and many other caveats about the research affirm that we are in the hands of experts who know their stuff. The result is a book that both enlightens those interested in the topic and calms the skeptics. For those who may be on the fence about meditation, I suggest reading the book and coming to your own conclusions. Perhaps, it will do the same for you.